It's super easy! This series features accessible arrangements for piano, with simple right-hand melody, letter names inside each note, basic left-hand chord diagrams, and no page turns. Lyrics are also included. 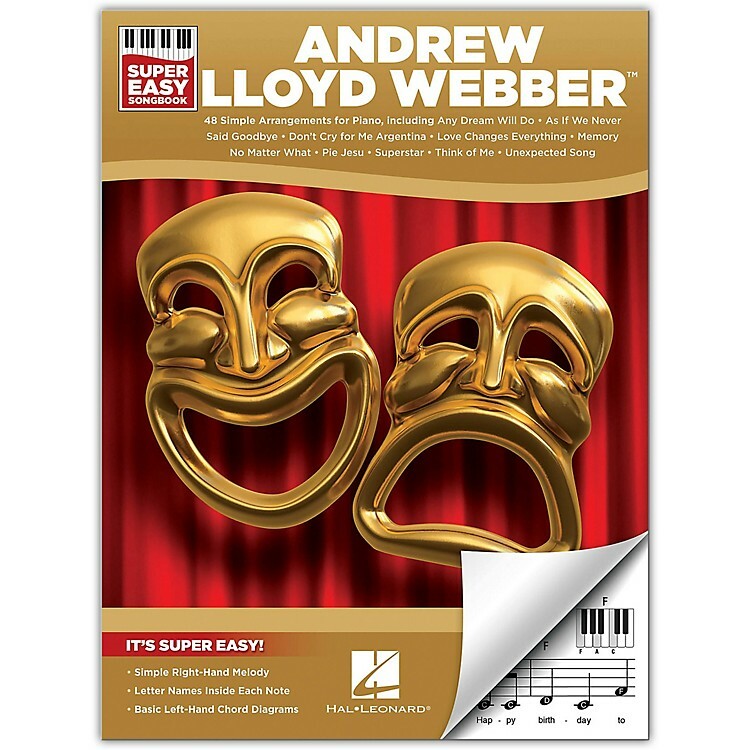 This edition includes over 40 Andrew Lloyd Webber musical favorites: Any Dream Will Do · Close Every Door · Don't Cry for Me Argentina · I Believe in My Heart · Love Never Dies · Memory · Only You · The Perfect Year · Seeing Is Believing · Think of Me · Unexpected Song · Whistle Down the Wind · You're in the Band · and more.